These are one of our favourite sides. I have yet to get the kids to eat them, but I’m pretty sure I didn’t like them as a kid either so I’ll let them off the hook. 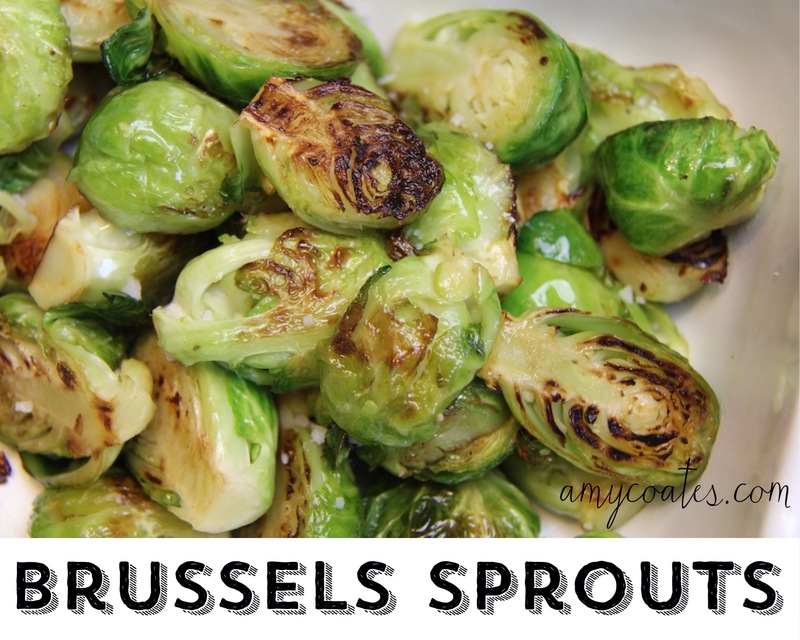 Cut Brussels sprouts in half. Cut off the base and remove the outer leaves. Melt the butter or coconut oil over low/medium heat, and add the Brussels sprouts. Cook for 15-20 minutes, stirring frequently. They’re a bit tricky to stir so you may have to individually flip them from time to time to make sure both sides get cooked evenly. Toss them with some salt and pepper and serve!